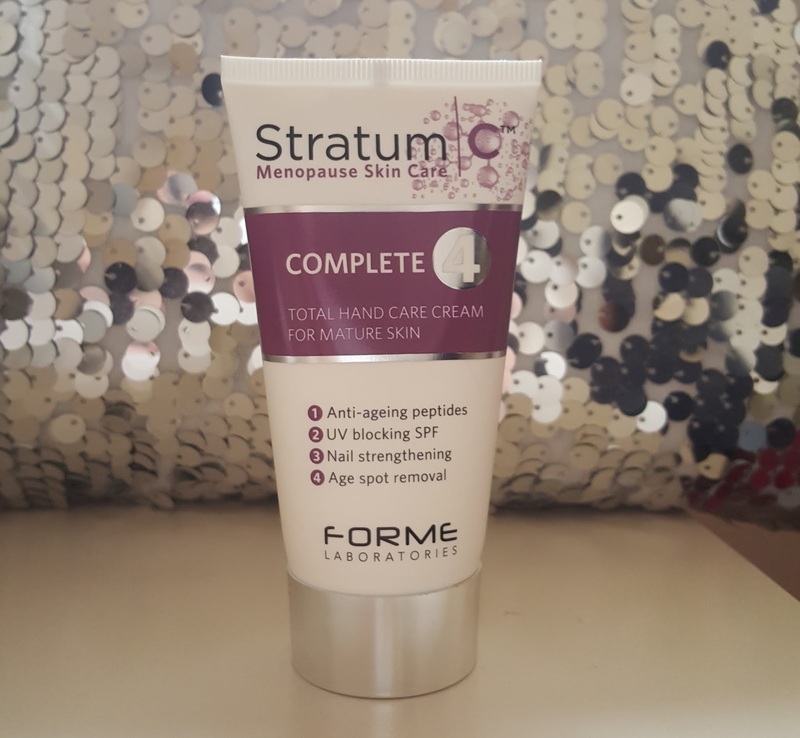 Stratum C is the Uk's first skin care range was formed in September 2013. The range is specifically formulated for the menopausal skin. As it contains high levels of active peptides to double collagen production, reduces existing wrinkles and replenish lost vitamins whilst using minimum preservatives. All Stratum C products are paraben, MI, artificial colouring and fragrance free using the gentlest of preservatives to protect your skin. Stratum C do not test on animals. I was kindly sent the hand care cream to review. Even though it is targeted for menopausal skin younger people can use it also and see the benefits. It is also the first product on the market which combines all 4 essential hand care needs: anti wrinkle, age spot reduction, nail strengthening and sun protection. Ultimate care for mature hands providing the essential attributes to protect, nourish and rejuvenate hands and nails in one rich, non greasy, luxuriant, moisturising cream. Matrixyl peptides are clinically proven to boost collagen making your hands look younger by reducing the visible signs of ageing. Complete 4 contains FDA approved, non toxic sun protection factor (SPF) system blocking 88% of UV rays without using harmful ingredients like Oxybenzone. Sun Protection: This cream protects your hands from 88% harmful UV rays using mild SPF ingredients which doesn't contain Oxybenzone. Reduces Age Spots: Uses natural bio identical ingredient Tego Cosmo to fade age spots and brighten skin. Apply daily and massage the product into hands and nails. Even though I am not the targeted age range for this product, I found that this product worked really well for me. I used to wear acrylic nails for years and over time they have done damage to my nails causing them to become weaker. 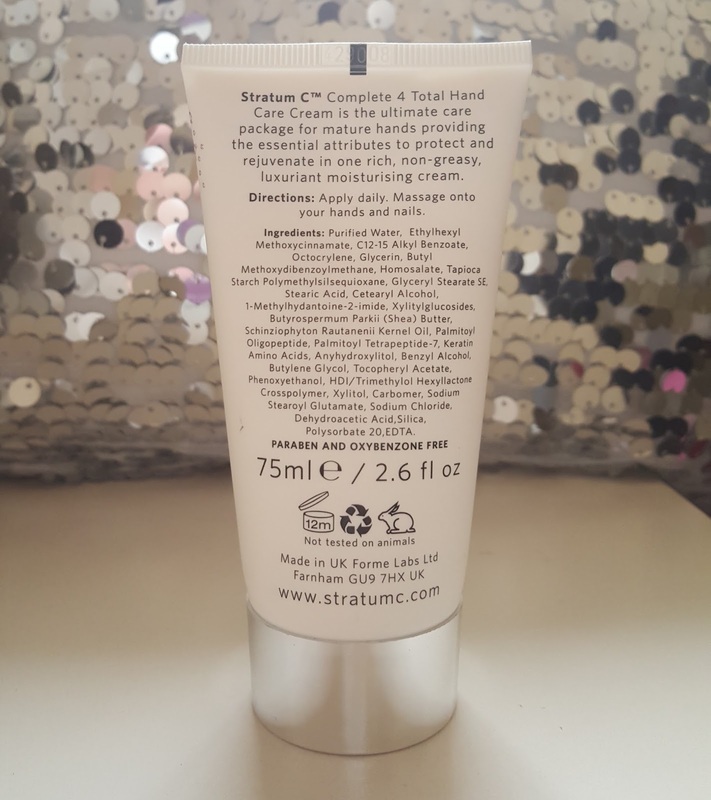 After using this hand cream my hands have become softer, more moisturised and my nails feel less brittle. 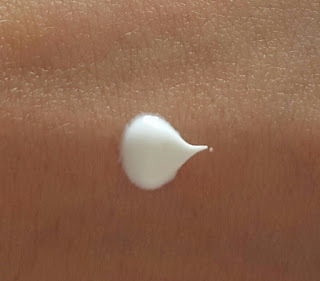 When applying the cream to your hands it feels very rich and when rubbed into your hands your skin feels softer instantly. This product is ideal for those of all ages as it works well on all skin types/ages etc even though it is targeted as menopausal skin care. Estee Lauder Double Wear is my holy grail foundation. I have used it for years and it lasts really well on the skin whilst still giving you that 'flawless' finish. This is my ideal foundation as its full coverage, lasts all day on the skin, looks flawless and is good for shine control. It is also the UK's no 1 foundation. There are 29 different shade range available and they are split up into three different categories warm, cool and neutral undertones. Max Factor is such an iconic brand that has been around for years. I can remember Nana using it and even my Mam. When I got the chance to try out some Max Factor makeup I was really happy (infact I screamed inside) When I opened the package I was really happy with what was inside. The Smooth Miracle Primer and Miracle Touch Foundation. Both products claim to smooth the skin textures. Also, these products are advertised on TV and the models skin looks flawless. Anything that claims to make your skin look flawless and smooth I will try. As you all know I love a flawless, smooth and full coverage base. W7 are such an affordable brand with great quality products. They do a wide selection of different products and shades. I kindly got sent these products to review. When my packaged arrived I was really happy to see what was in the box. 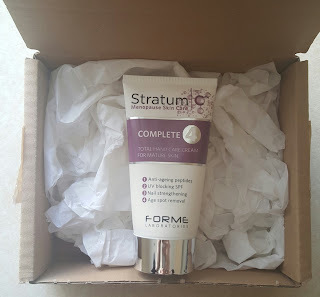 When I opened my parcel I wasn't disappointed as each of these products look amazing. In this blog post I will be sharing my opinions on the products and swatches. I have previously reviewed W7 products here. In that blog post I reviewed W7 prime and glow illuminating primer, Genius feather light foundation, Kiss me lip plumping gloss and cheeky chap multi blush. W7 do not test on animals. W7 Powder Puff When I saw this in the box I was really excited as I've wanted to try this for a while. Also it is pink which I love as pink is my favourite colour. Before I use this sponge I dampen it as foundation, concealer blends out better when doing so.